An illusion of butterflies. 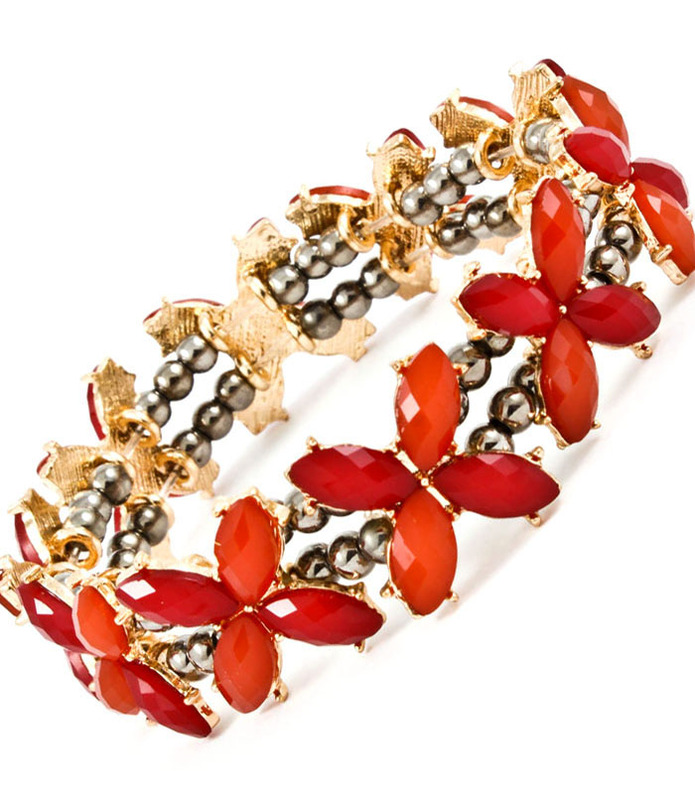 The Ashton bracelet features a pattern gold-plated petals in gloss red dispersed evenly along two strands of gunmetal beading on a comfortable stretch. Pair with others from your jewellery box to flaunt eclectic. Feel confident when you buy jewellery online at Oz Bling. Quality is guaranteed with our hassle free exchange policy.